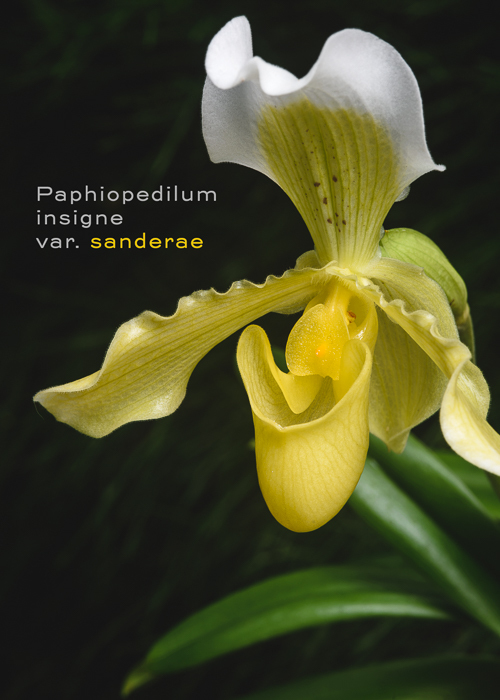 The Plant List records 30 different named varieties as synonyms of Paphiopedilum insigne, most of them published by Pfitzer in 1903. Even if most of these are color variants that don't deserve varietal status, the large number suggests a fair amount of variability, particularly for a species distributed over an area smaller than the state of New Hampshire. The state of Meghalaya in north-east India, home to Paphiopdilum insigne, is considered among the richest botanical and zoological habitats in Asia. It has a diverse topography. Seventy percent is forested with tropical and subtropical vegetation, and there are significant tracts of primary forest. Some areas in Megahlaya are among the wettest places on earth, receiving 472 inches (12,000 millimeters) of rain per year. It is exactly the sort of place where one expects to find high biodiversity. 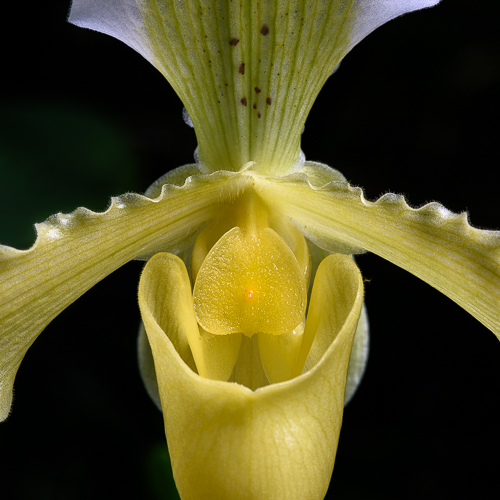 Like many other slipper orchids, Paphiopedilum insigne has its own preferred niche. It grows on dolomitic limestone outcrops near waterfalls and in light shade of shrubby vegetation at elevations between 1000 and 1500 meters. We received the plant above as Paphiopedilum insigne var. sanderae (Wallich ex Lindley) Pfitzer. It has canary yellow flowers with green veins and purple specks on the dorsal sepal. This is one of the prettiest yellow slippers in our collection and I'm happy to report that we have a capsule developing on one of our plants. It will be interesting to see how much variation there is among the seedling offspring.